Thor: Ragnarok (film, 2017). A 2017 American superhero film with "PG-13" rating by Walt Disney Studios Motion Pictures. Directed by Taika Waititi. Official Trailer. Thor: Ragnarok is a 2017 American superhero film directed by Taika Waititi. 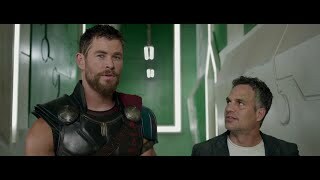 Marvel Studios' Thor: Ragnarok - Chaos Trailer. Two years after the battle of Sokovia, Thor is imprisoned by the fire demon Surtur, who reveals that Thor's father Odin is no longer on Asgard. He explains that the realm will soon be destroyed during the prophesied Ragnarök, once Surtur unites his crown with the Eternal Flame that burns in Odin's vault. Thor frees himself, defeats Surtur and takes his crown, believing he has prevented Ragnarök. Thor returns to Asgard to find Heimdall gone and his brother Loki posing as Odin. After exposing Loki, Thor forces him to help find their father, and with directions from Stephen Strange on Earth, they locate Odin in Norway. Odin explains that he is dying and Ragnarök is imminent despite Thor's efforts to prevent it. He then reveals his passing will allow his firstborn child, Hela, to escape from a prison she was sealed in long ago. Hela was the leader of Asgard's armies, conquering the Nine Realms with Odin, but Odin imprisoned her and wrote her out of history after he feared that she had become too ambitious and powerful. Odin dies as Thor and Loki watch on, and Hela appears, destroying Thor's hammer Mjolnir. She pursues the two as they attempt to flee through the Bifröst Bridge, forcing them out into space. Arriving in Asgard, she defeats its army and kills the Warriors Three. She then resurrects the ancient dead who once fought with her, including her giant wolf Fenris, and appoints the Asgardian Skurge as her executioner. Hela plans to use the Bifröst to expand Asgard's empire, but Heimdall sneaks in, takes the sword that controls the Bridge and begins hiding other Asgardians. Principal photography began on July 4, 2016, under the working title Creature Report, at Village Roadshow Studios in Oxenford, Gold Coast, Queensland, Australia, exclusively using all nine of the studios' sound stages. The film Thor: Ragnarok was scheduled to be released by Walt Disney Studios Motion Pictures on July 28, 2017 (United States), on October 10, 2017 (El Capitan Theatre), on October 26, 2017 (Denmark), on October 27, 2017 (Spain, Turkey), on October 31, 2017 (Germany), on November 2, 2017 (Brazil) and on November 3, 2017 (United States). The duration of the film is 130 minutes. With a budget of $180 million, the film grossed over $854 million. 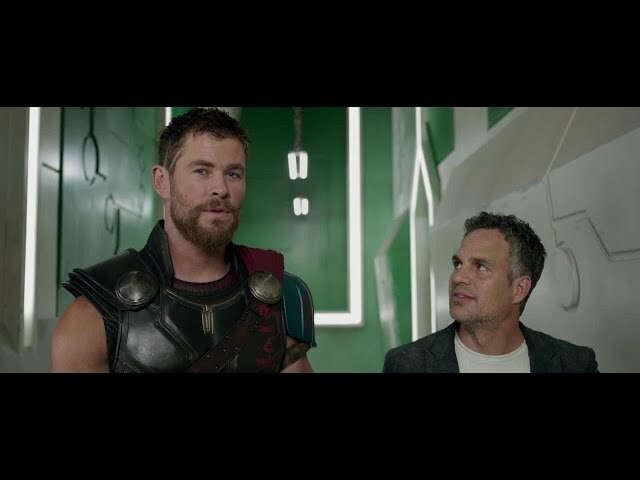 Thor: Ragnarok got high rating from critics. The audience also likes the film. Audiences polled by CinemaScore gave the film an average grade of "A" on a scale ranging from A+ to F.